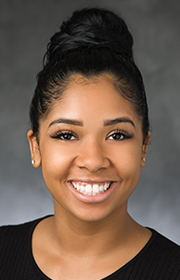 Ariel Perkins – Tudor, Pickering, Holt & Co.
Ariel Perkins serves as Marketing Assistant. Before joining TPH, Perkins was a property tax agent and consultant at O’Connor and Associates. Perkins holds a BBA in Public Relations from the University of Houston.